My “At the Airport” column for USA TODAY this month is all about what small airports are doing to get ready for the international air service. Here’s a slightly altered version of that column. Once, the biggest and busiest U.S. airports had the market for international air service all to themselves. But now smaller airports, such as Bradley International, near Hartford, CT, T.F. Green Airport, near Providence, RI, and Stewart International Airport, in New York’s Hudson Valley, have managed to snag some direct flights to Europe and, with those flights, a potentially profitable slice of the trans-Atlantic air service pie. When Aer Lingus began year-round service between Dublin and Bradley International Airport (BDL) in Windsor Locks, CT in September, 2016, it had been eight years since the nation’s 54th busiest airport could boast a direct international flight. (Northwest canceled nonstop flights between BDL and Amsterdam in 2008, when fuel prices spiked and the economy stumbled). Bradley, which is about 110 miles from Boston’s Logan Airport and about 130 miles to New York’s John F. Kennedy International Airport, gets its second international route staring June 17, when the fast-growing Norwegian Air, a European discount carrier, begins direct service between BDL and Edinburgh, Scotland. To help convince Aer Lingus and, then, Norwegian to take a chance on adding service at Bradley, airport and local officials offered financial incentives, an increasingly common tool among ‘second-tier’ airports competing for service, and promised to beef up facilities inside the terminal. The airport’s gates and ticket counters were already sized-right, with common-use equipment at the ticket counters, said Kevin Dillon, Bradley Airport’s executive director, but to accommodate the new international customers, the airport added a branch of the pay-per-use Escape Lounge and a new restaurant – Phillips Seafood – which made sure to have Irish beers on the menu. The Two Roads Brewing Company is about to open a tap room featuring Connecticut-made craft beers as well. 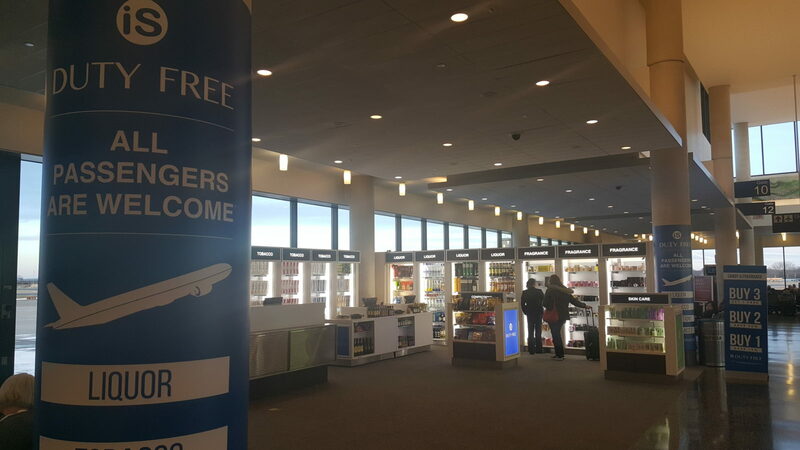 Bradley also added a duty free shop for international travelers and reports that in addition to whiskey and perfume, international passengers are buying lots of college-branded clothing, chocolate and roll-your-own tobacco. During June and July, Norwegian Air will kick off the first-ever year-round European routes from T.F. Green (PVD) in Warwick, R.I., the country’s 64th-busiest airport in 2015. Service from PVD to Edinburgh, Scotland begins June 16; to Cork, Ireland on July 1; to Belfast and Dublin, Ireland on July 2; and to Shannon, Ireland on July 3. Summer-only flights to Bergen, Norway begin July 1. Goldstein said the airport is currently expanding its international arrival facility, with the goal of having enhancements in place for the kickoff of the Norwegian flights. Flights from Stewart (SWF) to Dublin and Belfast begin July 1; and flights to both Shannon, Ireland and Bergen, Norway kick off on July 2. Frequency for each service will vary by season. To get ready, Stewart International, ranked as the 206th-busiest U.S. airport in 2015, just raze a World War II-era hanger to make room for more overnight parking for aircraft. Inside the terminal, concessions and amenities are being upgraded, said Edmond Harrison, general manager of SWF, which is operated by the Port Authority of New York & New Jersey. “We’re getting currency exchange, duty free shopping and a liquor license, which we don’t have now but will have when the first flight starts on June 15,” he said. Harrison also said the duty free shelves will be stocked with products from area breweries, wineries and distilleries and the gift shops will be filled with everything from West Point sweatshirts (the U.S. military academy is 15 miles from the airport) to typical New York City souvenirs featuring the Statue of Liberty, the Empire State Building and the World Trade Center. Two airports hotels (a Homewood Suites and a Courtyard by Marriott) are refurbishing facilities in advance of the new international travelers, said Harrison, and Hudson Valley tourism groups are gearing up to let visitors know about opportunities to visit nearby attractions such as West Point, the Culinary Institute of America, and the Woodbury Commons outlet shopping center, which draws over 12 million visitors a year. And for those international visitors landing at Stewart International who want to head straight for the Big Apple, starting June 15 there will be scheduled Coach USA service, with Wi-Fi and in-seat power, to Port Authority Bus Terminal in New York City. All these upgrades won’t be just for the benefit of international flyers. The Norwegian flights will bring the critical mass of passengers Stewart airport concessionaires need to make service investments worthwhile. What’s near: Stewart International Airport?